So my Mother believes everything tastes better with parsley…preferably, a lot of parsley. If the recipe calls for 1/2 cup, why not double that amount? If the recipe doesn’t call for parsley, surely it was an oversight so just add a handful. This recipe is no different. 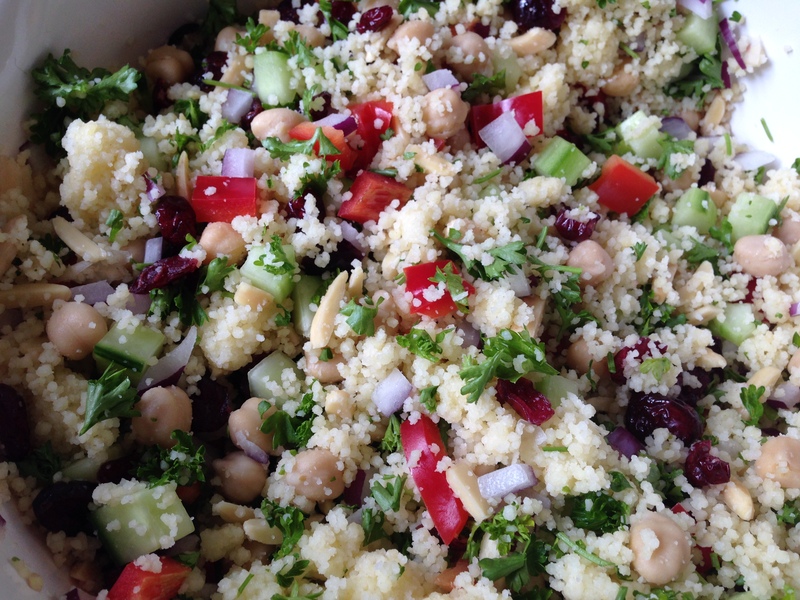 Couscous salad is a summer staple in my household but make sure you are hungry or have 10 friends coming for dinner. It grows as you make it. It makes a lot. Feel free to stop by and have some…we just made our first summer batch. Parsley haters need not bother, though. Cook couscous according to box directions. Gather LARGE bowl and add couscous all chopped veggies, nuts, beans and parsley. Mix well. Stir together vinegar, lemon juice and olive oil and pour over couscous mixture. Chill and salt and pepper to taste. Share with neighborhood or visiting Sister-Friend. Amy – I LOVE this salad! But did you add enough parsley?? N.